The inshore fishing Tampa Bay has to offer is world class. This is in fact the largest open-water estuary in the state, boasting more than 400 square miles of saltwater habitat. 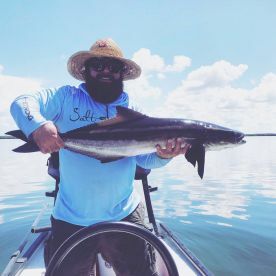 The area’s flats, waterways, passes, and oyster bars are home to all of Florida’s favorite fish—from Tarpon, Snook, and Redfish to a variety of Sharks. Tampa Bay fishing hot spots include Sarasota, Bradenton, St. Petersburg, Clearwater, and of course Tampa itself. These shallow waters have something for everyone, whether you are a seasoned pro looking to set a new record or an adventurous soul discovering a new passion. It’s hard to pick a bad time for inshore fishing in Tampa Bay. That being said, summer is undoubtedly the busiest season in these waters, when Tarpon and Snook are in abundance. 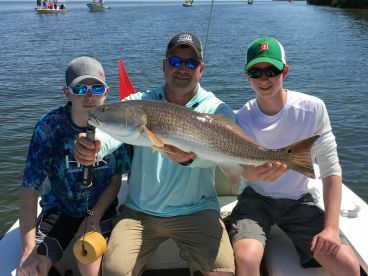 You will also find tailing Redfish on the flats in warmer months, accompanied by Speckled Trout, Pompano, and much more. 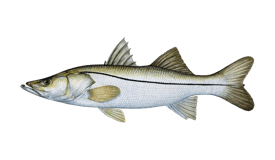 Many Tampa inshore fishing charters also run at night during the summer—a perfect chance to escape the heat while hooking into Snook, Tarpon, and some hard fighting Sharks near the dock lights. If winter could ever give summer fishing a run for its money, it would have to be in the inshore waters of Tampa Bay. 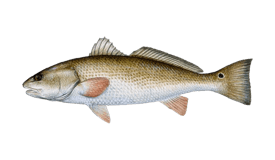 While casting lines near the docks, bridges, and reefs you will find Speckled Trout, Flounder, Sheepshead, and large concentrations of Black Drum. For unbeatable light tackle action, add Blacktip Sharks to your list. 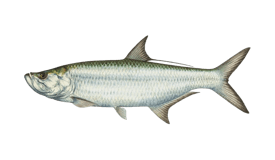 Other common catches throughout the seasons include Jack Crevalle, Ladyfish, Spanish Mackerel, Cobia, Mangrove Snapper, and Grouper. 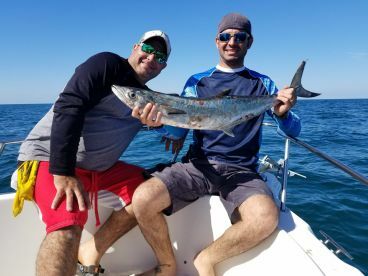 Fishing charters in the Tampa Bay area run 365 days a year. All licensed charter boats provide fishing licenses for their customers, and many guides are prepared to cater to any age and skill level. 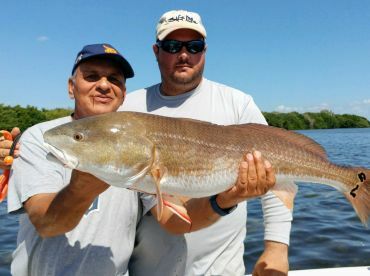 All things considered, is there any excuse not to try inshore fishing in Tampa Bay? 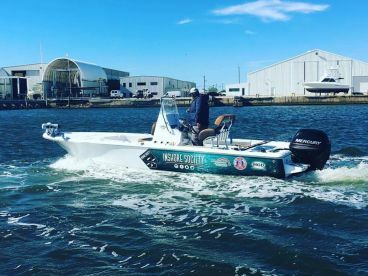 With a variety of techniques to choose from, there’s no shortage of ways to explore Tampa’s inshore waters. It goes without saying that this world class fishery offers light tackle action that is second to none. Whether you find yourself spinning, baitcasting, bottom fishing, or even trolling, you’re in for a treat. 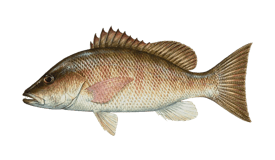 You can target many species with lures, cut bait, and live bait. Local guides tend to have their own tricks, but some common choices for live bait include pilchards, shrimp, minnows, and crab. Lures may include anything from topwater plugs to plastic-tail jigs and weedless spoons. The avid fly fisherman will find ample opportunity in Tampa Bay’s inshore waters. 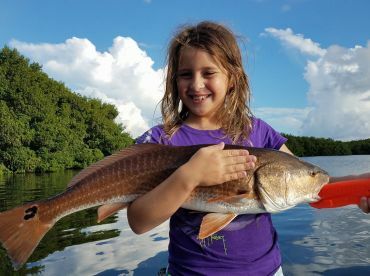 You can catch almost all the species here on fly, such as Redfish, Snook, Speckled Trout, Tarpon, Cobia—and even some Sharks. The waters are especially clear in cooler months, which makes for some prime sight casting. You can use light weight rods when targeting Speckled Trout, Snook, and other species. Large streamers or poppers work well when targeting Redfish and Snook. A 10-12 weight rod is recommended for Tarpon fly fishing, since these bad boys can reach up to 200 lbs! Local anglers also recommend a tippet of 16 lbs minimum or a monofilament leader to keep your line from breaking. Maybe you’ve tried all the above and you’re still wanting more? Well, Tampa inshore fishing doesn’t end there. Try your hand at bow fishing and experience these waters like never before. This fast-growing sport combines hunting, archery, and fishing for one thrilling experience on the flats. The best time for bow fishing is at night, when you might have the chance to make up to 100 shots for Sheepshead, Mangrove Snapper, Mullet, Flounder, and Rays. 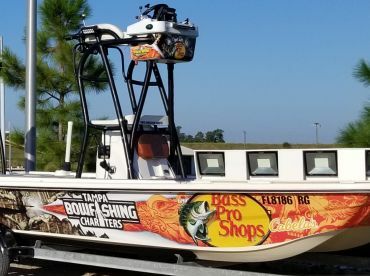 It’s easy to find fishing charters in the Tampa Bay area that do not require any previous bow fishing experience.